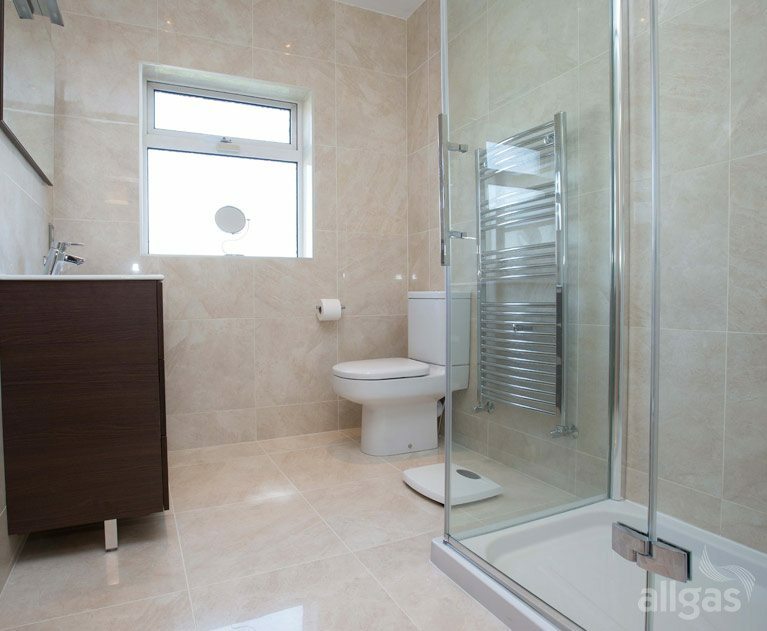 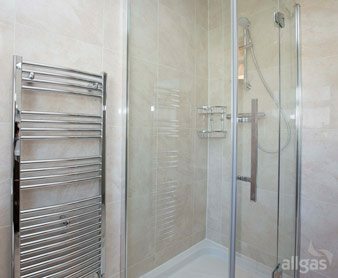 Here we created a clean spacious contemporary bathroom with a large low level shower tray and large glass walled shower enclosure. 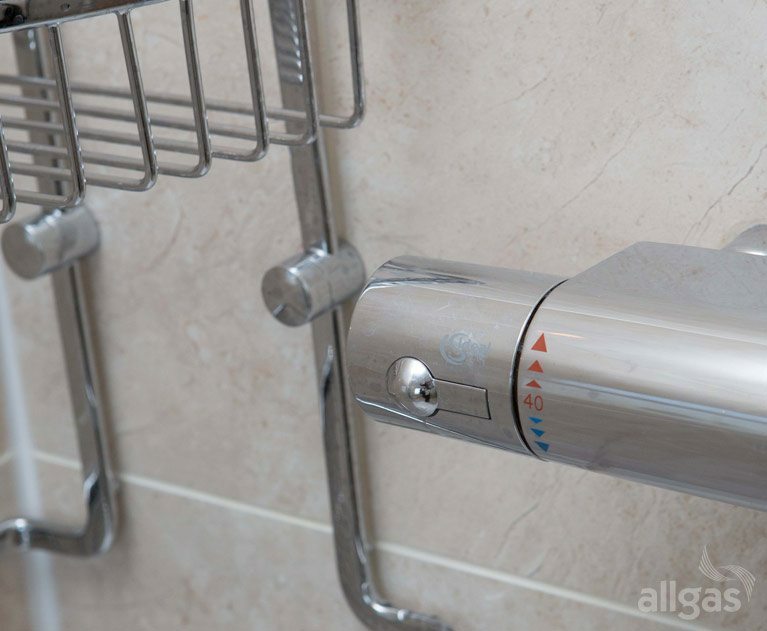 We installed a chrome thermostatic shower mixer linked to a powerful pump which gives the feeling of a continental showering experience. 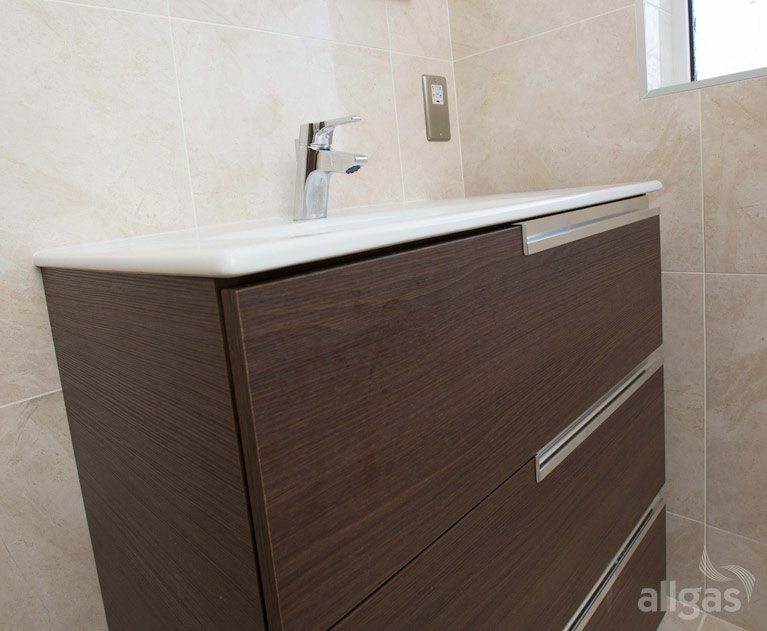 The modern comfort fit toilet is complemented by the striking dark brown Wenge vanity unit with chrome trims. 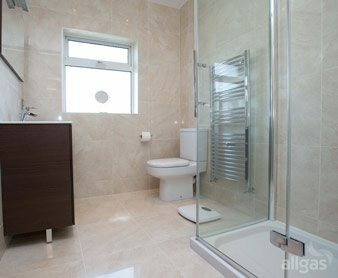 The bright porcelain wall tiles contrast and compliment the depth of the colour of the vanity unit. 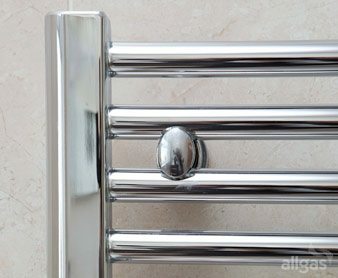 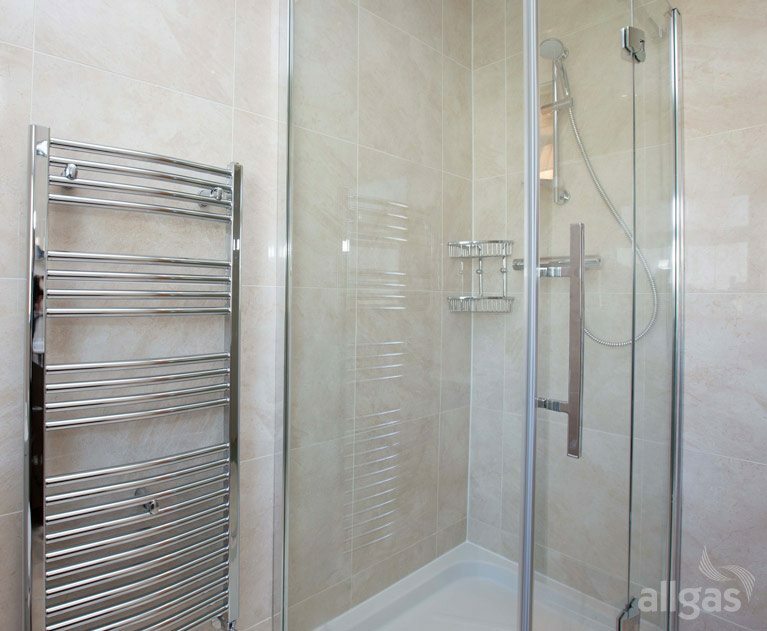 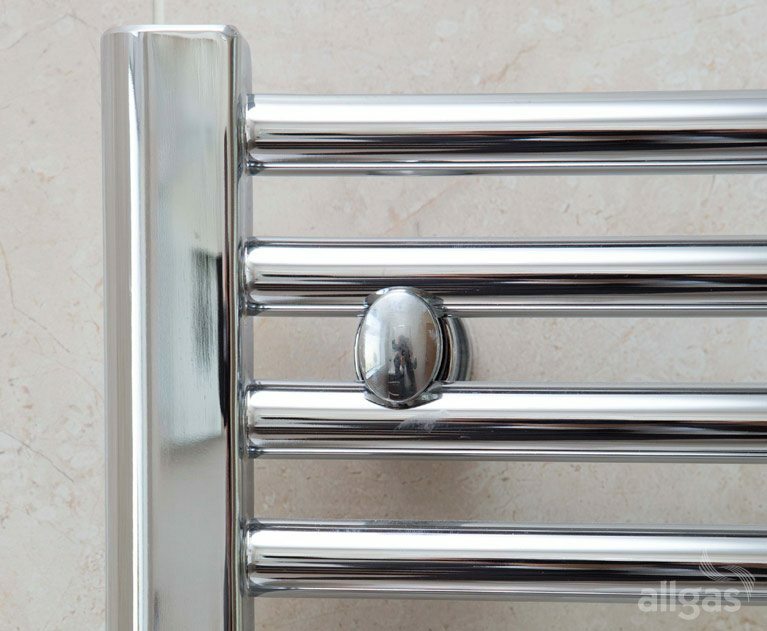 A chrome towel rail and chrome fittings service to finish the effect.